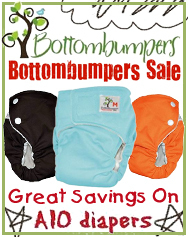 Falling Prices at Nicki's Diapers! 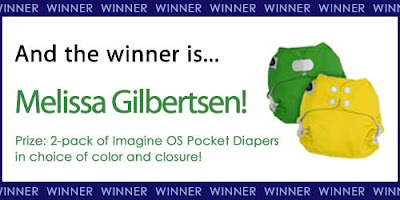 Imagine Pocket Diaper Giveaway WINNER! As any mom knows, sometimes you have weeks where you feel like you just can't get ahead. This week was one of those weeks for me. Dinners were thrown together last minute, my laundry pile is growing exponentially, and when I went to move the clean diapers from the washer to the dryer this morning, I realize that the load from earlier this week was STILL in the dryer! Yikes, guess I'm low on diapers today! Emmett woke up and needed to be changed out of his overnight diaper and as I looked for a pocket or AI2, I realized that my pickins' were SLIM! So, I reached to the back of my changing table, grabbed a flat and pad folded it into an Imagine Diaper Cover. As I lifted Emmett up and notice how trim this diaper is, I remember one of the many reasons why I love flats so much! Ease- It doesn't get much more basic and much easier than folding up a flat and laying it into a diaper cover. Absorbent flat + waterproof cover = simple and bulletproof! 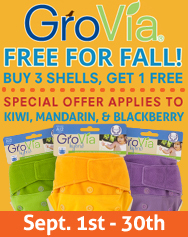 Fit- Since flats only come in one size, they truly are a one-size fits all diaper. While I prefer the ease of the pad fold, there are endless options for folding that will fit the tiniest newborn to large toddler! And with so many options, you can get an ultra trim fit! Washing- Flats are a single layer of birdseye cotton, making them a piece of cake to wash. They come clean without a complicated system and are a great option for hand washing since they dry so quickly! I actually have a dozen flats and a handful of covers in our emergency kit for this reason. 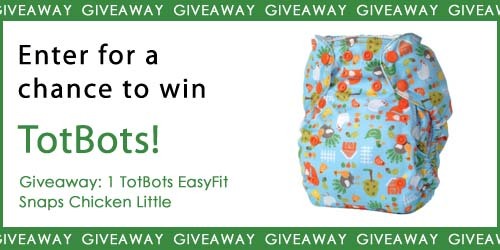 Cost- How does diapering from birth to potty training for under $150 sound? Pretty great I'd say! Flats are hands down the most economical diapering option. 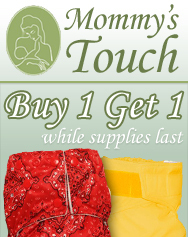 Pick up 3 dozen flats and 10 one-size diaper covers and you're set! Maybe next week I'll be more on top of things, maybe not. But even if I've got a full bin of modern cloth diapers clean and ready, I think I'm going to make this a new tradition and love on my Flats on Friday! 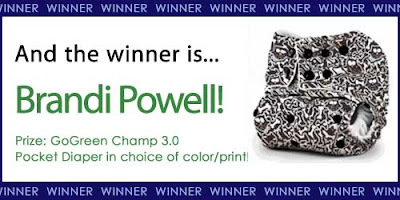 I was such a snob when I started cloth diapering. Seriously. My husband wanted something that went on like a disposable, and I completely agreed because pockets and all-in-ones seemed like the “high tech” options. At the prompting of a friend, I bought a dozen Imagine cotton prefolds in small for overnight doubling and a few covers just in case, but I really doubted I would ever use them. They seemed so “old school”. Sure enough, we used Imagine pockets exclusively on our toddler and the prefolds stayed in the drawer, but then the unexpected happened. 1. I love how easy prefolds are to tri-fold, stick in a cover, and be on my way. None of the complex origami and dangerous diaper pins I’d been dreading. 2. The small size Imagine prefolds fit perfectly into all my diaper covers on the large setting, no fold-over involved. 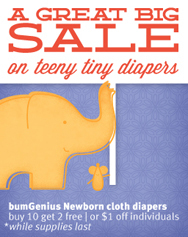 For this reason, I’ve used smalls on both my newborn and my 35 pound big-boy. 3. I LOVE diaper covers! Bumkins, Blueberry, Rumparooz, Thirsties- you name it. I’m a sucker for cute covers. 4. The Imagine prefolds just get better and better and softer and softer with every wash.
5. All cotton means easy washing, easy drying in the dryer, and no stink. 6. Only natural fabrics are touching my baby’s skin, although next time I will get unbleached instead of white, mostly because it hides baby-poop stains better. 7. Prefolds are way more portable than pockets or all-in-ones. I can fit 2 prefolds, a small wet bag, flannel wipes, and a small bottle of wipes solution in my purse- no diaper bag required. 8. 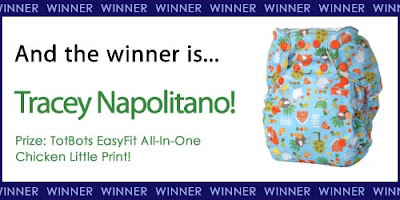 I can, and do, use my prefolds for way more than diapering. Need a burp rag, lap pad, Kleenex, or towel? I’m always reaching for a prefold. 9. Imagine prefolds are durable! I’m pretty sure these could go through 12 kids, if I was crazy enough to have that many (which I am not). 10. There’s no, and I mean NO, more affordable way to build a stash than prefolds. They literally fit every budget, even our single-income, state-employee budget. Imagine prefolds are heaven-sent for my tight pocketbook. If you’re thinking about starting or stash or expanding your stash with prefolds, today’s the day to do it. We love the Imagine brand prefolds, as well as the excellent customer service that comes with them from Nicki’s Diapers. Call me “old school” but we have become a prefold and cover family! Guest blogger, Heather, is a work-at-home violin and piano teacher, but she considers her full-time job chasing around her two sons, ages 3-1/2 and 2 months. She lives in Great Falls, Montana and loves getting outside and enjoying her incredible surroundings. When my family made the decision to cloth diaper I was so excited I couldn’t wait to tell my friend who had been cloth diapering for nearly a year. She spent the next few days constantly reminding me that when she moved to cloth I would ask her, “How’s that going for you?” I honestly don’t remember passing judgment, but apparently I did — something I’m not proud of since I have found that I actually love cloth diapering. As it is, to get to this point in my children’s lives, my family had to make the leap from disposables to cloth, and it was from an unlikely source, in my opinion, that the encouragement came from — my husband! 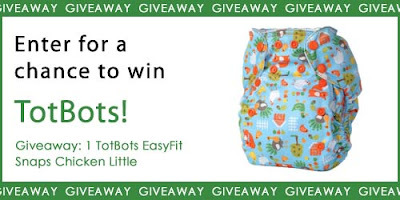 We took a trip our local Nicki’s Diapers retail store one afternoon to get some reusable swim diapers for my son, and while I was looking for the right fit, my husband wandered off. Looking up, I see him completely engaged in a conversation between a mom-to-be and one of the employees at the Best Bottoms Diapers display. Still in shock that he of all people was a cloth diaper advocate, I just stood there staring at him. We looked around the store at the different styles, he picked up a brochure at the counter and we continued the conversation during the entire drive home. We talked eco-friendly benefits, health benefits for our son, cost efficiency. You name it, we discussed it, because let’s face it, one child in diapers is expensive, but two? It’s been a rough year, and we needed to make some adjustments. The thing that surprised me the most about making the decision to cloth was that had my husband and I been a little bit more communicative about things, we probably would have made the decision long before our son was starting the toddler phase. I had seen my friend cloth and it always intrigued me, but never did I think my husband would go for it. (And truthfully, maybe I was slightly embarrassed that cloth was on my radar. My family would laugh at me!) And the bottom line is he had just never been around it, he didn’t know anything about it, so had I brought him in earlier or just mentioned it a bit more, his curiosity probably would have piqued and things would have been different a lot sooner. The lesson learned: don’t assume anything. For me, I assumed my friend was crazy to cloth, and that my husband nor myself would never try something so “unconventional.” Little did I know he was just unaware of the diapering possibilities and that he did care how much garbage we put into the landfill every week! I still thank him for encouraging us to cloth every time I get online to try and find new fuzzy and squishy material to get on my little man, and he just laughs at me. Guest Blogger, Jenna, is a freelance writer and editor who lives in Verona, Wisconsin with her husband and 18-month-old son. They are expecting their second little one in late September. 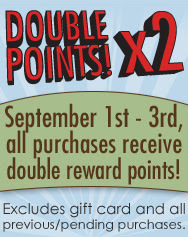 Earn TWO points for every dollar you spend and redeem your points for gift certificates to Nicki's Diapers! 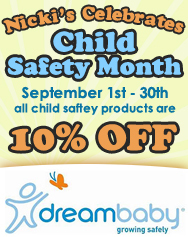 Check out these great sales and stretch your dollar even farther!